The Water Filled Road and Traffic Barrier is an excellent way of providing clear, easy-to-understand driver and pedestrian guidance. These provisional barriers are commonly set-up for channelling the flow of automobiles or people in high-traffic areas. For drivers too, the presence of big barriers, in bold colours of red and white, is a big help. It becomes easier to manoeuvre the vehicle when a sign is visible from a distance. This helps to prevent parking jams and congestion of traffic. 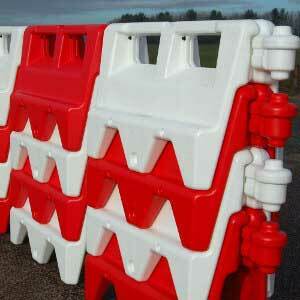 There is a growing demand for these barriers at construction sites, docks, airports and big public events. You can align these barriers in any configuration. They are easy to grip, lift and transport. These barriers come in the form of modular units—easy to interconnect through flexible joints. 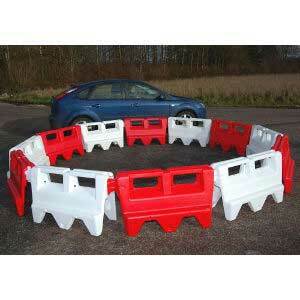 You can create different alignments to barricade around curves and corners. Each barrier is made of UV-stabilized polythene. This synthetically engineered material provides long-term durability and resistance against environmental threats. The bright colours and contours of the water filled barriers last for years. Each barrier weighs 8 Kgs when empty. 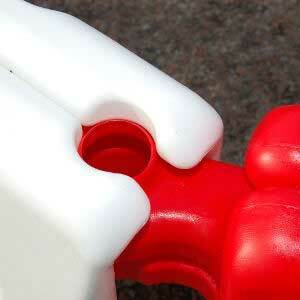 To make the barrier sturdier, there is a provision to fill it with water. Each barrier can hold nearly 12 litres of water, when filled it weighs nearly 40 kgs. You can choose to order Water Filled Road & Traffic Barriers in a single, solid shade of red or white or choose a mixed pallet of 18 barriers. We try our best to deliver the ordered quantity within 3 to 5 working days. 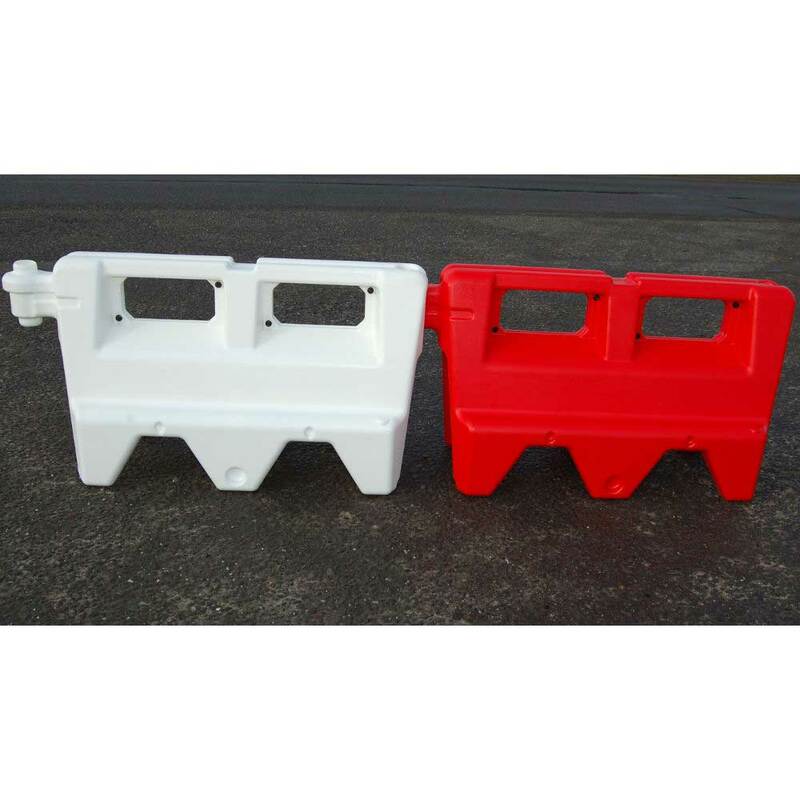 09169-R/W - Ideal for car park divider but maybe a little light for road use?